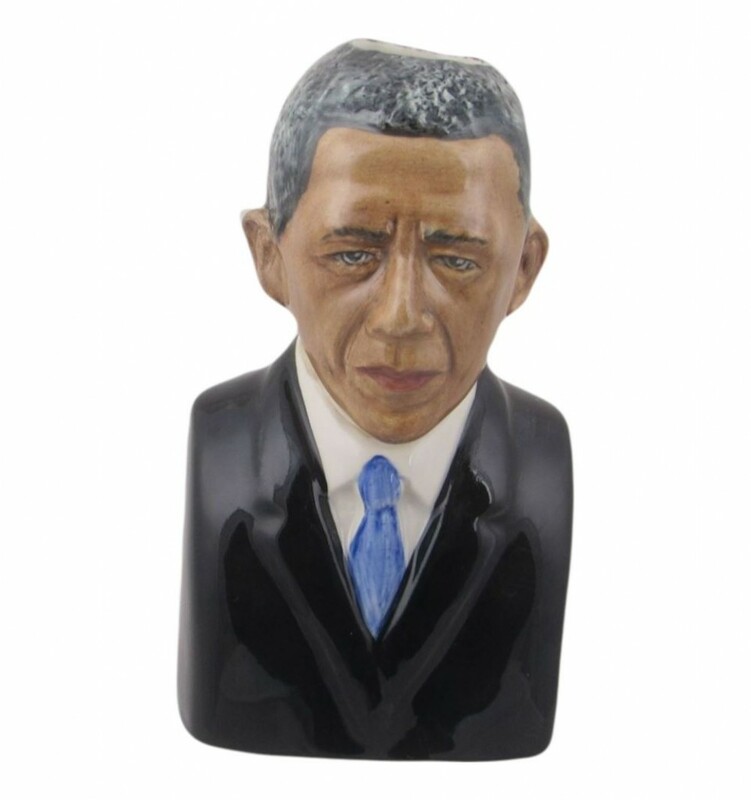 The latest release from Bairstow Pottery is the President Barack Obama Toby Jug. The President Barack Obama Toby Jug has been modelled by Bairstow Pottery’s Ray Noble featuring a black jacket, white shirt and blue tie. The model stands 13cm high and features Nobel Peace Prize Winner 2009 on the base. It is priced at £32.95. For more information visit the Stoke Art Pottery.